Tokrat sem se odločila za izdelavo voščilnice v obliki knjige. Vanjo lahko položimo nekaj za sladke privržence in pa seveda ne sme manjkati še žepek za dinarčke. Nisem je preveč okrasila, saj naj bi bila namenjena fantku. I decided to make a book card, since I really didn't make one in a while and it is so fun to do it. And it is such a perfect gift, you can put in some sweet candy and I added a little pocket where some money could go or am little tag or something. I tried to keep it simple since the book card is meant for a boy. Res je prav mraz tule pri nas tako da res upam, da se vreme v kratkem spremeni na bolje. Želim vam prijeten vikend. Hope you are having a better weather than we have! It's really cold and rainy ... brrrr! Well enjoy your weekend. ČUDOVITO, Mojca! Barve so mi všeč in layering pravtako... Štampiljka mi je tudi zelo všeč... :). tvoje knjigice so naravnost fantastične-nekega dne se v tem mogoče preiskusim tudi jaz. Wow, this is lovely Mojca. Really gorgeous project. 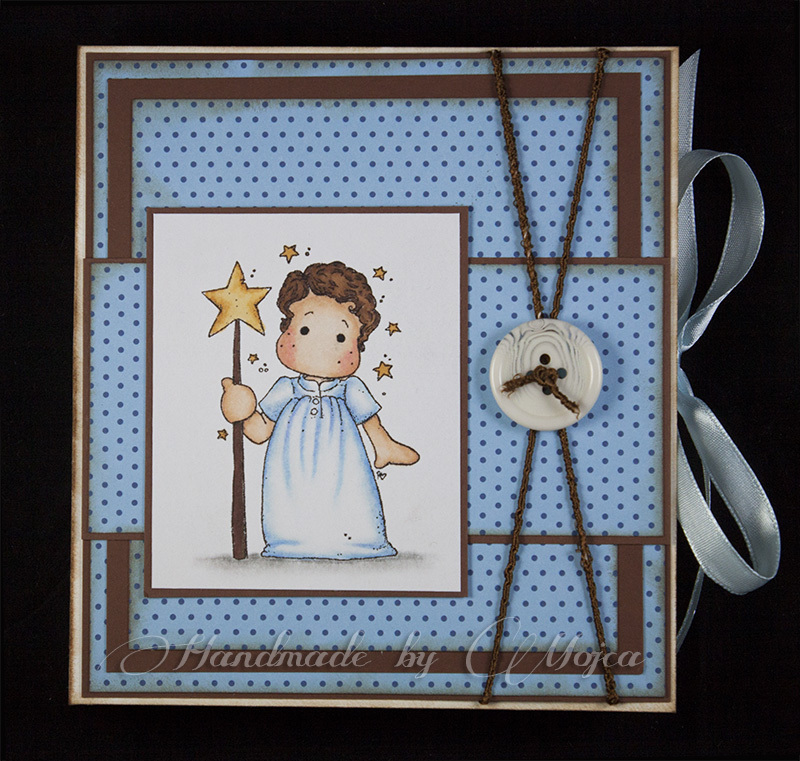 This is fabulous Mojca, such a cute image and wonderful design. 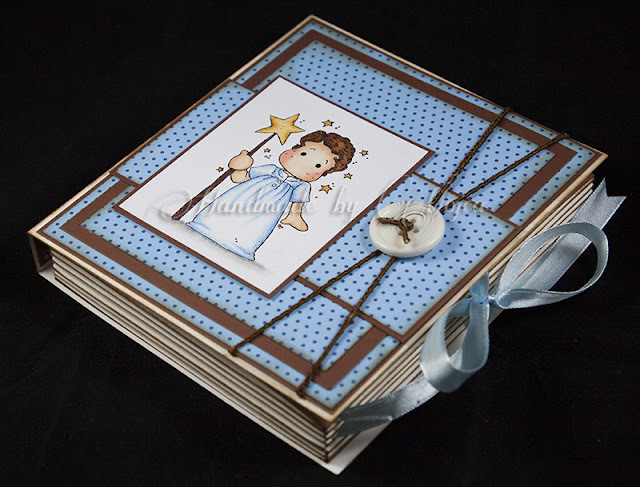 This is a gorgeous book card Mojca! Every thing I thought of has been said about this lovely project. So all that is left to say, is that I LOVE IT ! This is gorgeous. I spotted you on MIM and popped over for a closer look and I am so glad that I did. Vedno z veseljem pogledam tvoje delo. Čudovito. Cudovita je in te skatlice knjige so tako lepe. WOW! Mojca this is really beautiful, gorgeus colours and fab Edwin. Fabulous Book Card. The Starboy Edwin is cute and your colouring is wonderful. The layout is great and the papers are pretty. So cute, great colouring of the image. This is a beautiful bookcard Mojca! Thanks for sharing at Simply Magnolia, also a great Thank You for your sweet comment on my blog.